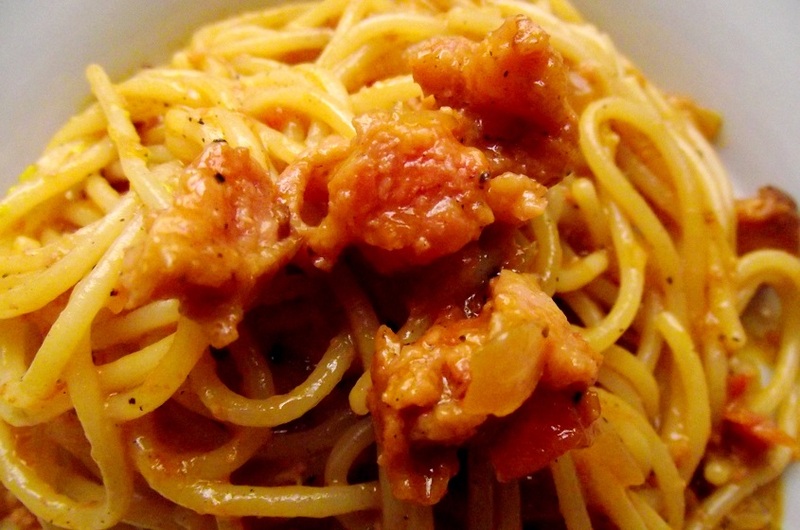 One of the most simple, delicious and popular Dominican recipes is Spaghetti “A la Criolla”. I prepare them rather frequently, but a few days ago, I wanted to give it a twist, so I took some nice pepperoni, chorizzo and an amazing longanizza that I find regularly at my local butcher. I guess anything you can find in the smoky meat flavor profile will be very close to this version. In a pot stir fry the onion, peppers, garlic paste, pepperoni, chorizzo and longanizza (which will drain some of its amazing fat into the oil) and bouillon. Add the water, oregano, pepper and tomato paste. Allow to boil until it gets creamy. Check the salt. Add the spaghetti and allow to mix well. Serve and top with cheese. 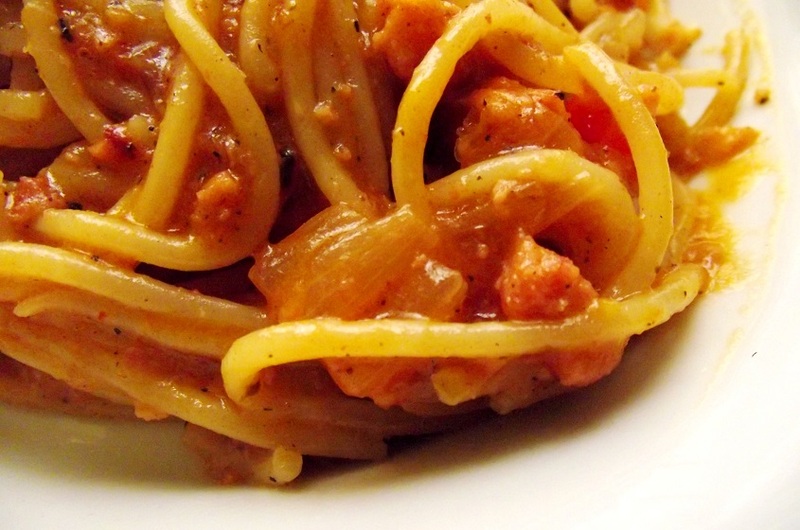 This entry was posted in Cookbooks, Informative, Traditional Dominican Food and tagged dinner, dominican, dominican food, dominican recipes, espaguetis a la criolla, garlic paste, spaghettis a la criolla, traditional Dominican spaguetti. Bookmark the permalink. LOL! They are! They’re generally overcooked (like that’s the way “it’s done”) and not only starchy but very fatty. It’s definitely not an everyday meal unless you do a very physical energy-consumming work. It’s very popular in construction here!